It seems like a week doesn't go by that a prospect or one of our clients receives a SUMMONS. Most of the time, a SUMMONS is delivered to you at home. But in some cases, it may be mailed by certified mail or delivered to your place of employment. Before I explain what you need to do, you need to know why this is happening and what you can do to prevent it in the future! When you find yourself in a financial hardship due to any number of reasons, most likely, you just can't afford to keep up with the minimum payments due on your credit accounts. At first, after the creditor doesn't receive the payment that is due, you will get a statement with a warning (along with extra LATE FEES and added INTEREST) telling you how much you need to send in this month to catch up. When you can't make that payment (and of course, you can't), you may start getting calls from a representative of the company. I know you would like to explain your situation and would like to get a "little sympathy", but most of the time, the rep just doesn't care. "I'm going through a very hard time and just cannot afford to make any payments at this time. I plan to get caught up in the near future, but for now, please stop calling me!" Don't wait for an answer, just HANG UP. Most likely, the calls will either stop or slow down and now you'll start getting letters. 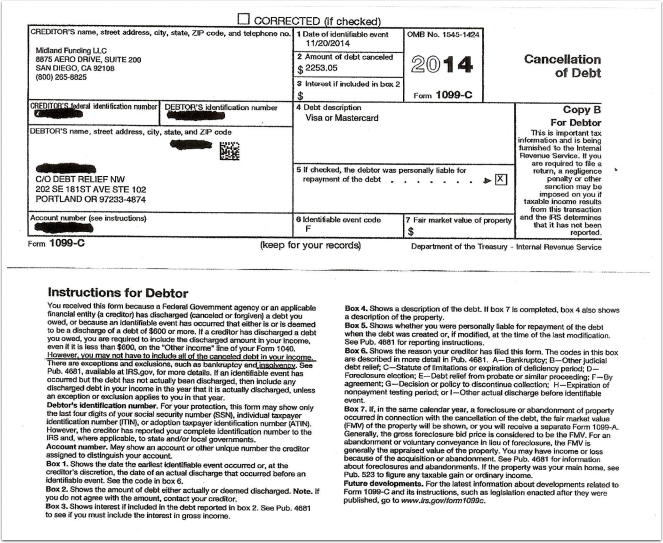 These letters may threaten to "charge off" your account and turn it over to a debt collector or to an attorney. This usually happens after 3-4 months of non payment, but sometimes, they may wait 6 months or more. But, at some time, they will send these accounts to a collection agency or a law firm that deals mainly with debt collection. Now, you will start getting calls and letters from them. You can also put a stop the calls now (before, the original creditor had the right to call you). If your circumstances don't change, and you can't negotiate a repayment or settlement agreement with the collectors, they may decide to start their "legal options" by filing a claim. Once the claim (legal claim that you owe the debt) a SUMMONS will be delivered or sent to you. "You must APPEAR and give an ANSWER to this claim." Without going into a long explanation, this basically just means that if you don't owe the money the PLAINTIFF is CLAIMING, you (the DEFENDANT), must provide PROOF to the court. This must be done in a short period of time (usually 20-30 days from the date of delivery) and it must be in "legally correct form" which usually requires an attorney's help. Most of the time, you (the Defendant), owes the money, so when you don't give an ANSWER to the court, then the the attorney may apply to the court for a date in order to be awarded a JUDGMENT by DEFAULT. Depending on your particular circumstances, you may be able to negotiate a settlement/reduced payment of the balance. For example, if you are retired and receiving only Social Security or Retirement benefits as your only source of income, these funds are 100% EXEMPT from any levy or garnishment even if a judgment has been awarded! If you are disabled, and only receiving SSI and/or Disability Benefits, these are also 100% EXEMPT from any levy or garnishment. There are several other situations where you may have LEVERAGE to negotiate a settlement. If you cannot negotiate a settlement, the law firm may apply to the court for a WRIT OF GARNISHMENT. With this, they can GARNISH YOUR WAGES and/or FUNDS IN YOUR BANK ACCOUNT! For most people, this would be devastating. Many times, a creditor (or attorney for the plaintiff), may be willing to agree to a series of payments to repay the debt instead of garnishment. Of course, by now, the balance is much more due to interest, fees, court costs, etc. As long as you meet the terms of the agreement, the attorney will not go forward with a garnishment or bank levy. As you can see, a SUMMONS is serious and you can't ignore it! If you think it is hard to make ends meet now, what would you do if you had 25% of your paycheck taken as a result of a garnishment? THIS GARNISHMENT DIDN'T JUST HAPPEN! I can't tell you how many times one of our clients calls to tell us that a debt collector or creditor just garnished their paycheck and they had no idea it would be happening. OK, I know that in some VERY RARE CASES, they may have not received or seen the SUMMONS that came in person or by registered mail, but in most cases, they got it, but just ignored it. When you miss a scheduled payment, you may get a phone call or letter. If you don't reply or miss another, you ABSOLUTELY will get a phone call or letter....lots of em'!!! 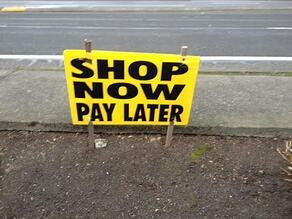 The creditors wants to do whatever they can to get you to start making payments again. You may get a letter offering to "bring your account current if you make "such-n-such" payment by a certain date. Or, they may say to call them to look into a "Hardship Program" (which I really don't like). But if you just can't afford any payment after paying rent, utilities and buying groceries, WHAT NOW? In most cases, the original will CHARGE OFF the balance of the debt you owe them. ...that they didn't pay them back as promised and they have lost a lot of money! Your account will most likely be transferred or sold to a debt collection agency. This may even be a Law Firm that only deals with debt collection. Now, you start getting calls and letters from the debt collector, but the good news is that now, you can LEGALLY STOP THE CALLS. As long as your account was with the original creditor, they had the right to call you about your account. But, once that account is charged off and placed with a collection agency, you have the right, according to the Fair Debt Collection Practices Act, to demand that they stop calling you. But, just because they have stopped calling doesn't mean that they have stopped trying to collect! If they cannot get you to start making payments to them (they may even offer a reduction in the balance...called a SETTLEMENT) then they may decide to FILE A CLAIM against you in your county's courthouse. The debt collector's CLAIM say that you have not fulfilled the promise to repay this debt and they are going to seek legal action against you....sue you! You will get a SUMMONS, and it will state all of the above and it will state that you have 20-30 days (varies by state) in order to give an ANSWER. This is when the creditor and/or the debt collector agrees to a substantial reduction of the balance to settle this account, once and for all. The Debt Collector or in some cases the original creditor files a claim in court that you owe them money. When this happens, you get "served" a SUMMONS. The summons names you as a DEFENDANT and the Creditor or Debt Collector is the Plaintiff. They have "claimed" that you owe this debt unless you can prove it, and I mean, absolutely prove it with copies of canceled checks, etc. If you know, for certain AND CAN PROVE IT....FOR CERTAIN, then you have the legal right to file AN ANSWER with the court. Not only does it cost you a FILING FEE (I believe it is about $165 here in Oregon), it has to be legally correct. In other words, you may think about hiring an attorney to prepare the ANSWER. And, of course, that costs more money! But, IN MOST CASES, you really do owe the money, so giving an "ANSWER" is not necessary. If you cannot negotiate a settlement or arrange a repayment agreement, the Plaintiff (debt collector), may decide to just go forward with a court date in order to be awarded a JUDGMENT. Once the JUDGMENT has been awarded to the Plaintiff, they can apply for a WRIT OF GARNISHMENT. This Writ of Garnishment is sent to your employer and your employer has no choice but to honor it. This means that they are going to withhold (after all of the other withholdings) another 25% of your net, take-home paycheck! So you see, this garnishment didn't just happen....there was a long process and it could have been stopped numerous times along the way! What too many people do when they finds themselves in a terrible, financial hardship is to "hide their head in the sand" rather than seek numerous solutions. Believe me, the last thing most creditors what to do is to have to spend the time and money to file a claim, follow up with calls and letters to you, and possibly spend more money in setting a court date, paying an attorney to represent them, etc. Last week, we had a client call us to say that she had neglected to act on a summons she had received and the creditor (plaintiff) had been awarded the judgment....acted on the judgment....and her HR department sent her a message that her check would be garnished about $500! We were able to contact the attorney for the collector and negotiate a repayment plan (you rarely get much, if any of a reduction/settlement after a judgment has been awarded) whereby our client agreed to pay only $200 per month until the balance was paid. She could not handle the loss of $500, but she could make $200 work. Here in Oregon (or in any state for that matter), the best way to deal with a garnishment is to not let it get to that state. But, if it has, then you may be able to get a reasonable repayment agreement in place. I've Been Garnished...What Can I Do? We get calls each week from someone (we are in the Portland, Oregon area) that has been garnished or has been notified by their payroll office that they are going to be garnished. As if things were not bad enough all ready, WHAT CAN YOU DO NOW? A WAGE GARNISHMENT can only occur AFTER A JUDGMENT has been awarded to the plaintiff. A lot of people are mistaken in thinking that just because one of your credit accounts has been charged off and assigned or sold to a collection agency, that they can come after your property. When you get behind on paying your credit accounts on time, there is a sequence of events or a time line that must take place. You will get calls and/or letters from the original creditor trying to find out what's going on. By-the-way, as long as your account is still with the original creditor, you can't do anything to stop them from calling. 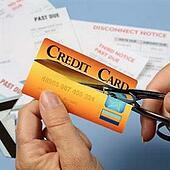 But, once that account is charged off and transferred or sold to a debt collector, you can. I show you how later. Once the account is placed with a debt collector, you will start getting calls and/or letters from them. If you have some funds and/or a little money left over to make a reasonable monthly payment, you may want to discuss this with the debt collector rather than just ignoring the calls. You may be able to work out a SETTLEMENT, which is a reduction of the balance. This settlement may have to be in a LUMP SUM or possibly in SEVERAL PAYMENTS. If you cannot afford anything to put towards the debt you owe, and you are not taking their calls or responding to their letters, the debt collector may decide to FILE A CLAIM. An attorney is retained to file the claim in your county's courthouse. Once the claim is filed, you will receive a SUMMONS. Although this can be a frightening experience, DON'T PANIC! The summons will state that you the claim against you (you are the defendant) by the creditor or debt collector (this is the PLAINTIFF). It will also state that if you want to contest the claim, ( called give an ANSWER), you must do so within a short time period (usually 20-30 days after receiving the summons). If you can prove that you do not owe the debt, then you should give an answer to the court within the time specified. This costs a hundred dollars or more and must be in the correct legal documentation, so you may need an attorney also. You could not keep up with the payments due on some or all of your accounts. This may be due to a number of circumstances, but here you are. You can not work out a reasonable repayment plan or settlement with the original creditor, so you account is assigned or sold to a debt collector. 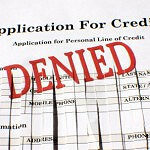 You cannot afford a settlement with the debt collector and the debt collector files a claim and you receive a summons. Most of the time the plaintiff will be awarded a DEFAULT JUDGMENT by the court. Once the JUDGMENT has been entered, the plaintiff has the option of seeking a WRIT OF GARNISHMENT to get back what is now owed. Additional interest, fees and court costs have now been awarded to the plaintiff as well! If you are employed and receive a check (W-2 wages), then the writ of garnishment is presented to your employer and/or payroll department. You may be notified, but you may just be shocked to see that your payroll check has been reduced by 25%! If you receive income from commission or what is reported for tax purposes as 1099 INCOME, then the plaintiff may seek to get a bank levy on ONE OR ALL OF YOUR BANK ACCOUNTS! This can really be DEVASTATING! We have had people call us after their bank account(s) were depleted and they could not by groceries, pay rent, etc.! The laws of your state (I am in Oregon and most of my clients reside here) will allow numerous EXEMPTIONS to wage garnishment and/or a bank levy. Exempt wages....If you earn less than $1,000 a month, most likely this is exempt. Spousal or child support or any other support you receive for you or your dependents. If you are retired and receive income from your 401(K), IRA, Pension, etc. as well as Social Security, those incomes are exempt from garnishment or levy, BUT BE AWARE!!!!! Most people who are retired have their Social Security checks and any other retirement Income checks automatically deposited in their bank. In May of 2011, a law was passed that protected Social Security and Retirement Funds from creditors, via garnishment/levy. As long as your Social Security and/or "Retirement" income is deposited in a bank account that has NO OTHER FUNDS CO-MINGLED, then your bank will not "FREEZE" your account if they receive a writ of levy. Let's say you are retired, receiving a modest Social Security check and a small Retirement check. Together, they are automatically deposited in you bank account. The problem is that you just don't have enough money each month, so you take a part-time job earning $500 or so extra each month. You deposited that extra $500 together with the other Retirement funds and not that account has CO-MINGLED FUNDS and if a writ of levy were presented to the bank, the banker would have no recourse but to freeze the account (you cannot withdraw ANY FUNDS) and would have to send the amount of the levy to the creditor! Let's say you took some of your retirement funds that are automatically deposited in you checking account and transferred them to a savings account. Those funds in the savings account are now SUBJECT TO LEVY! If you are retired, and receive a summons and/or judgment, you need to sit down with your banker and make sure that you funds are protected from any future/possible levy. If you have been garnished, it may not be too late to put a stop to the garnishment. 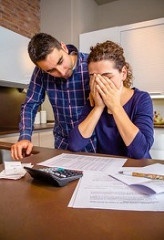 Contact the attorney for the creditor/plaintiff to see if they would be willing to accept a reasonable repayment plan rather than continuing with the garnishment. For most people, losing another 25% of their income when things were financially tough anyway, would cause them to seek BANKRUPTCY protection. So, the creditor/plaintiff might be open to another option rather than wage garnishment. We have been able to help many people, just like you to stop a garnishment, but time is critical. How to Stop Annoying Debt Collectors From Calling! Debt Collectors...They call and call and call!!! Is there anything you can do to STOP THE CALLS? If you have ever missed or gotten behind on credit accounts, then most likely, before long, you started getting calls, and calls, and calls!!! As if the financial stress wasn't enough, now you got some, well, I'll be nice, debt collector agent calling to demand payment or making threats of this or that. 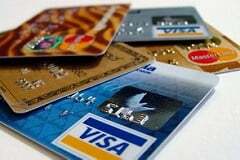 As long as the account is with the original creditor (Visa, Master Charge, Discover, etc. ), then they (the creditor) has the right to call you about your account. Somewhere in the fine print of the application you signed, (and probably couldn't read) there was language that you agreed to that they could contact you by phone/mail about your account. But, once that account is about (varies) 3-4 months delinquent, then the original creditor may decide to charge off, assign or even sell to a debt collector. Once this happens, then the debt collectors starts with the letters and calls....lots of calls, many times a day....VERY ANNOYING! But I said I had GOOD NEWS, and I do. The Federal Trade Commission (FTC) has a lot of very good information about debt collectors and their practices. A debt collector must conduct their business practices according to the law found in the FAIR DEBT COLLECTION PRACTICES ACT or the FDCPA. So, what should you do if you have believe you have been harassed by a debt collector? The best thing you can do is to file a complaint with your state's attorney general's office. Most likely you can go online to do this. If the Attorney General's office gets enough complaints, they will start legal action against the debt collector. "But, how do I stop all those calls?" Again, the Fair Debt Collection Practices Act says that a consumer can demand that a debt collector stop the calls by simply sending a written request (sometime they'll take a fax). Just because you have stopped the calls doesn't mean the debt collector is going to stop sending letters, reporting the "bad debt" on your credit report and possibly begin legal action to win a judgment. If awarded a judgment, they may be able to get a WRIT OF GARNISHMENT or a BANK LEVY! The best thing you can do is to negotiate with the debt collector for a reduced SETTLEMENT! They are professionals who specialize in getting you to pay as much as possible! When you are "emotionally" involved, it is harder to negotiate. With little experience, many people end up paying way to much. Yes, you can put a stop to the collection calls, but you'll still need to deal with the debt. COULD YOU USE A LITTLE HELP OR ADVICE?